The Family Festival on November 10th 2018 was a gathering of different Family Federation communities, WFWP and UPF. It sought to educate, promote and celebrate families and the personal stories they share together. 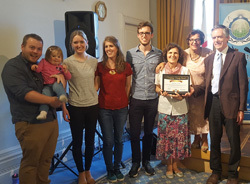 The United Nations International Day of the Family was commemorated by Universal Peace Federation UK in 43 Lancaster Gate by highlighting exemplary families and role models. There were many inspiring stories and best practice advice given by the families. Re-dedication Blessing on Saturday 27th February. It will be a joyful ceremony of married couples who are committed to the sacred nature of marriage and want to stay together with their spouse to strengthen the family. 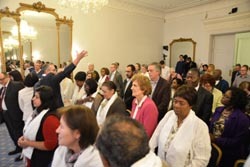 We invite you to join hands with couples of different faiths, cultures and backgrounds, to renew their marriage vows and stand up for the family, and so begin the process of building the greater family of humankind, under one God. 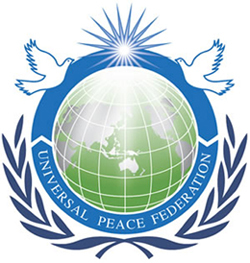 Strengthening Families Strengthening Communities Course Presented to a Universal Peace Federation Ambassador for Peace Gathering Last Night by Remzije Duli. The course is promoted by the Race Equality Foundation. It has many good values for family life. Families hold societies together, and intergenerational relationships extend this legacy over time. This year’s International Day of Families is an occasion to celebrate connections among all members of the constellation that makes up a family. It is also an opportunity to reflect on how they are affected by social and economic trends – and what we can do to strengthen families in response.